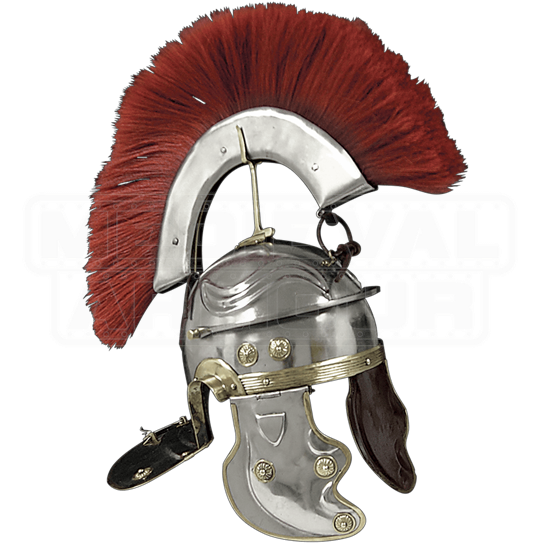 This Roman Gallic Helmet is handcrafted of 18 gauge steel and boasts classic brass accenting. Our helmet has a removable crest and a padded liner. 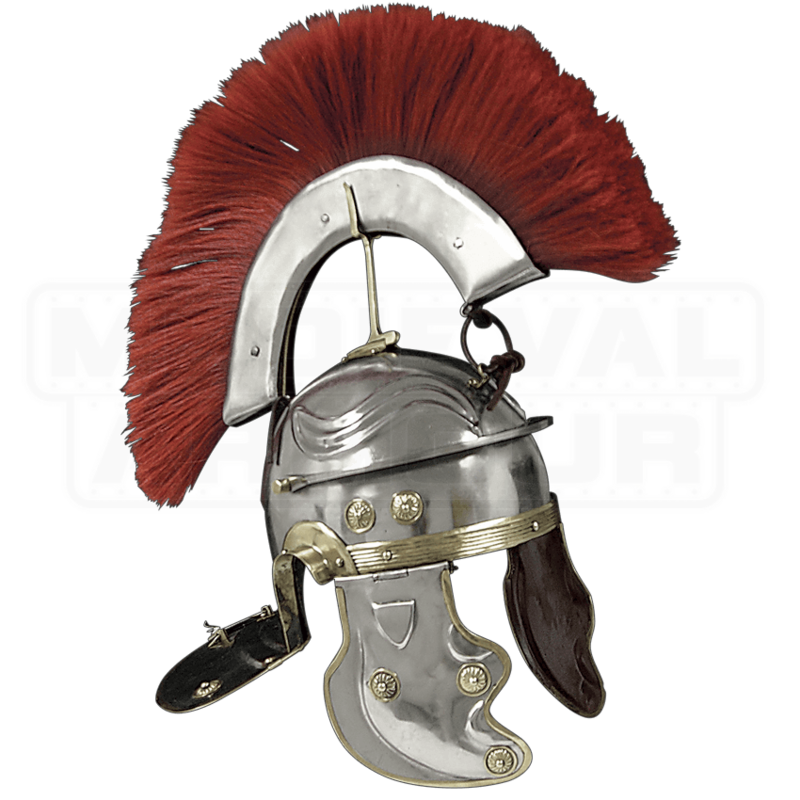 The Roman Helmet is fully functional and wearable for Roman re-enactments. This interesting Roman helm would be a great piece for your Roman Lorica Segmenta also.